What Do You Do When You Run Into GC Problems? 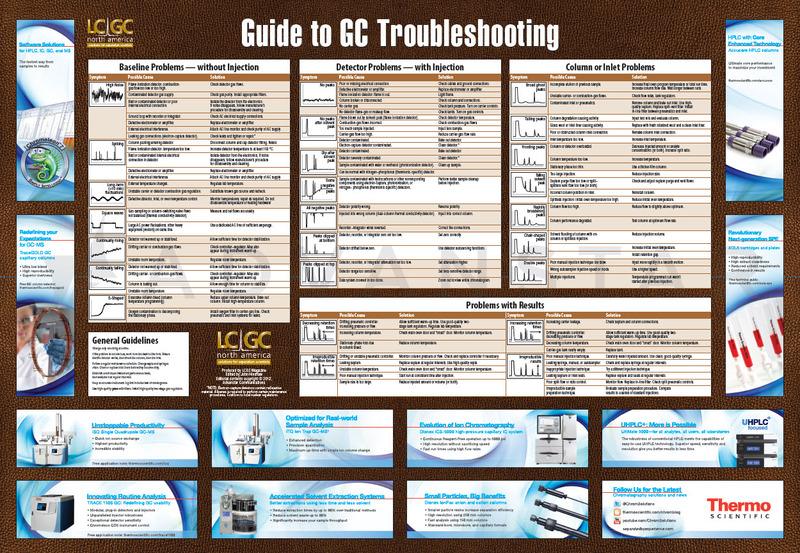 Hang this complimentary Troubleshooting Poster in your lab or office for quick and handy reference and fix the problem fast. This attractive poster includes solutions to a multitude of problems with your baseline, detector, column, inlet filter, and results.